This is an album that speaks for our times and I believe it's the most focused album I've ever made. Many Woodstock musicians contributed to the project including the fabled and mysterious vocal group, "The Resistance", who appear on the last track, "Not In My Name". 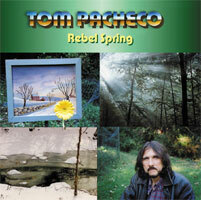 "Rebel Spring" was recorded at Jim Weider's studio in Woodstock, New York. It was mixed and mastered at Rob Frazza's studio in Bearsville, New York. Jim Weider produced it (Jim formerly played lead guitar for "The Band", replacing Robbie Robertson in 1984). Rob Frazza is Todd Rundrgen's sound and video engineer. The Resistance: backgroundvocals on "Not in my Name"